January 5, 2010 January 5, 2010 Warners' Stellian ApplianceLeave a Comment on MN residents: You can get WI stimulus money — now! MN residents: You can get WI stimulus money — now! 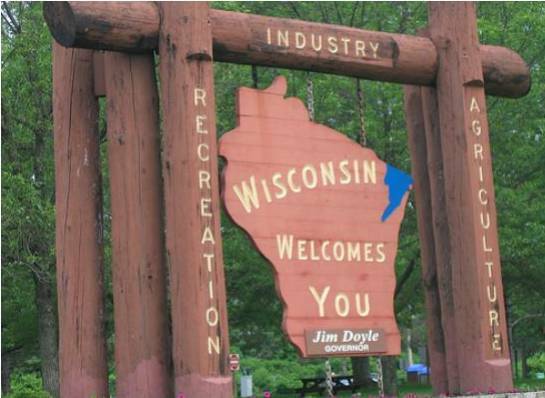 "Wisconsin Welcomes You"...to get our state stimulus money! It seems strange, but stick with me here. If you are a Minnesota resident with a second home or cabin in Wisconsin, you also qualify for Wisconsin’s appliance stimulus rebate for appliances you purchase for that property. Call our Woodbury store at (651)714-9790 to order. We deliver free to Hudson with a $499 purchase and to several other Wisconsin cities for $49.95. Other deliveries can be negotiated, and we ship appliances nationwide. If the program runs out of money before February 2012 (I would be shocked if it didn’t), Wisconsin’s Focus on Energy — which is administering the program — will announce a new end date. From its website: “All qualified purchases made prior to the program end date and submitted within the required time frame will receive a Cash-Back Reward.” Allow 6-8 days to receive a check.